Total U.S. household net worth dropped by $11.1 trillion in 2008. The median income for 25-to-34-year-olds in America, $34,000, hasn’t budged since 1977, adjusted for inflation. The number of Americans worried about the economy multiplied nearly sixfold. In 2016, the median wealth of a family headed by someone born in the 1980s was 34 percent below the level of earlier generations at the same 2007: age. Mutual funds lost a third of their value: -38 percent. The market value of all publicly traded companies was cut in half. From 2005 to 2009, the median value of stocks and mutual funds owned by whites dropped by 9 percent. The median value of holdings for African-Americans dropped by 71 percent (probably because of pressure to sell when prices were low). Between 2007 and 2013, wages declined for the bottom 70 percent of all workers. The retirement savings of black families fell by 35 percent from 2007 to 2010. In a 2016 survey by the Fed, 28 percentof working-age adults said they had no retirement savings whatsoever. The racial wealth gap, already large, ballooned. In terms of household wealth, every group suffered — but some more than others. Consumer credit-card debt at the end of 2017 was over $1 trillion (about 30% higher than in 2008). Millennials have taken on at least 300 percent more student-loan debt than their parents’ generation. The unemployed took many more weeks to find work. In a December 2017 poll by YouGov, 38 percent of those surveyed said they didn’t know when they’d be debt-free. 30 percent of respondents thought they’d never be out of debt. 63 percent of Americans say they don’t have enough money in savings to cover a $500 health-care expense. In 2017, women had nearly 500,000 fewer babies than in 2007, although there were 7 percent more women of prime childbearing age. The suicide rate rose 4 percent from 1999 to 2010: 4,750 additional deaths. 24 million adult millennials, or 32 percent, still live at home. 79 million Americans live in a “shared household” with at least one extra, nonfamily resident. More college grads moved in with their parents. From 2000 to 2015, homeownership declined in 90% of all U.S. metropolitan areas. I think you’re starting to see the deindustrialization of the country. We stopped investing in the country. Domestic investment’s all going over to China. We deindustrialized Western Europe. Brexit and 2016 are inextricably linked, okay? In his classic 1985 book Amusing Ourselves to Death, Neil Postman wrote of the difference between George Orwell’s and Aldous Huxley’s visions of fascism. For a nifty cartoon version of the Orwell-Huxley distinction, see here. 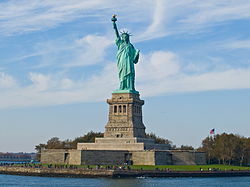 As we say no to non-sense, we might recall that it was on this date in 1885 that “Liberty Enlightening the World”– a symbol of anti-totalitarian democracy and a token of friendship from the French to the U.S. that is better known these day as the “Statue of Liberty”– entered New York Harbor. Encased in more than 200 crates, the statue was reassembled, placed on its pedestal on (what was then known as) Bedloe’s Island, then dedicated by President Grover Cleveland in October, 1886. 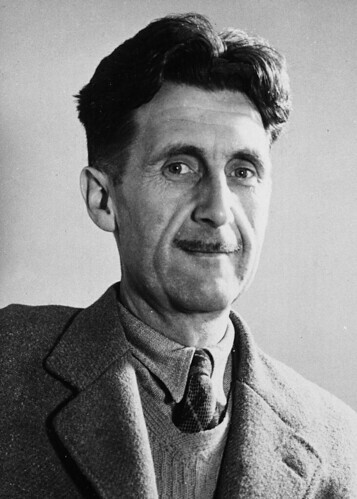 In 1949, George Orwell received a curious letter from his former high school French teacher. 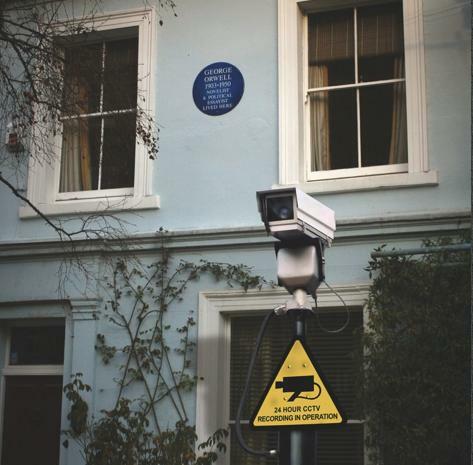 Orwell had just published his groundbreaking book Nineteen Eighty-Four, which received glowing reviews from just about every corner of the English-speaking world. 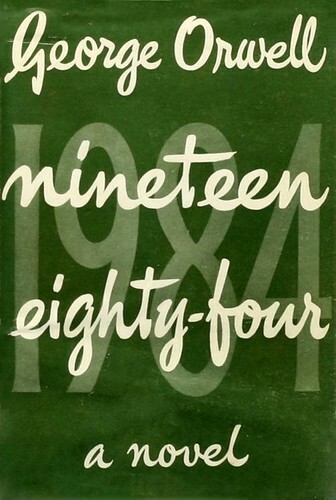 His French teacher, as it happens, was none other than Aldous Huxley who taught at Eton for a spell before writing Brave New World (1931), the other great 20th century dystopian novel. See also Neil Postman’s and Alan Moore’s agreement. As we question authority, we might recall that it was on this date in 1966, the date that LSD was declared illegal, that The Love Pageant Rally was held in the Panhandle of Golden Gate Park in San Francisco. 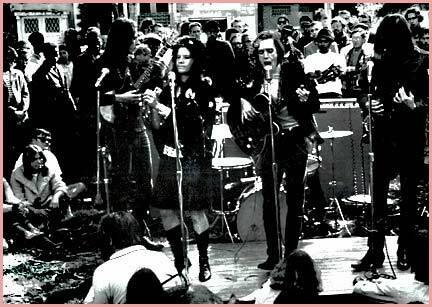 The first big free concert of it’s sort in the park, it was organized by Allen Cohen and artist Michael Bowen, the creators of the San Francisco Oracle, which first hit the streets in September 1966, to mark the banning of the drug– which effectively created a neighborhood of outlaws in the Haight, where acid was a staple of community culture. Music was provided by the Grateful Dead and by Big Brother and the Holding Company; Ken Kesey and the Merry Pranksters were on hand. … one of Steve Ullathorne‘s “Restyles of the Dead and Famous,” a collection of subtly– and pointedly– altered photos. 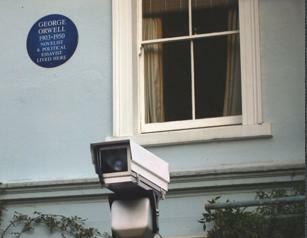 Orwell was almost exactly wrong in a strange way. He thought the world would end with Big Brother watching us, but it ended with us watching Big Brother. 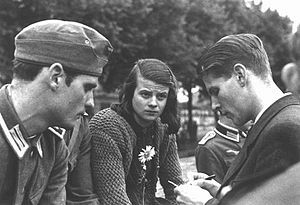 As we practice our newspeak, we might recall that it was on this date in 1943 that the “White Rose,” a student protest group, painted “Freedom” and “Down with Hitler” on the walls of the University of Munich. The leaders of the group were arrested two days later, and beheaded on February 22. 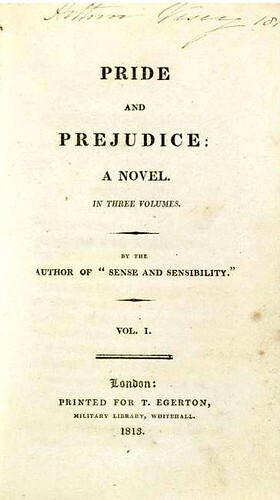 … was the tentative title with which Jane Austen worked before she settled on Pride and Prejudice. George Orwell’s publisher convinced him that “The Last Man in Europe” simply wasn’t going to send copies flying off booksellers’ shelves, convincing Orwell to switch to his back-up title, 1984. Discover more literary “might-have-beens,” featuring F. Scott Fitzgerald, Ernest Hemingway, Joseph Heller, Bram Stoker, and others– at Mentalfloss. 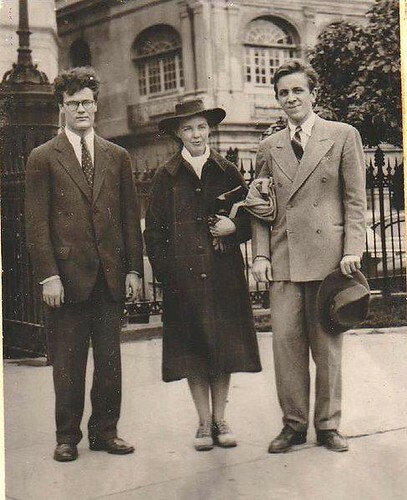 As we think again about our vanity plate orders, we might recall that it was on this date in 1943 that then-26-year-old poet Robert Lowell, scion of an old Boston family that had included a President of Harvard, an ambassador to the Court of St. James, and the ecclesiastic who founded St. Marks School, was sentenced to jail for a year for evading the draft. An ardent pacifist, Lowell refused his service in objection to saturation bombing in Europe. He served his time in New York’s West Street jail. 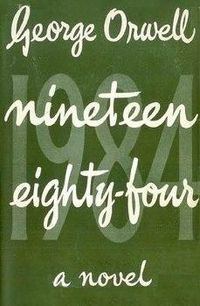 As we try to remember which one is Jim, and which one Jules, we might recall that it was on this date in 1949 that George Orwell published his masterpiece of dystopian literature, Nineteen Eighty-Four, and introduced terms like “Big Brother,” “doublethink,” “thoughtcrime,” “Newspeak,” and “Memory hole” into the vernacular. 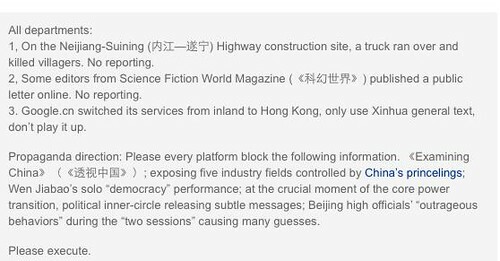 China’s State Council Information Office (SCIO), an arm of the Central Propaganda Department, operates an “Internet Affairs Bureau” to oversee all web sites that publish news, both the official sites of news organizations and independents. 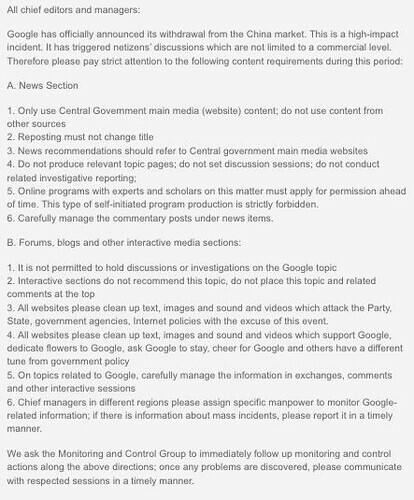 But technology marches on… these government directives are meant to be confidential. But while they are not showing up on web sites per se in China, some of their recipients– the web editors at whom they are aimed– are using Twitter, Sinaweibo (Sina’s popular micro-blogging service), and other social media to slip them into cyberspace. To wit, the CDT coverage. As we remark that a vigorous independent media is the infrastructure of democracy, and that it is an issue of some valence not just in China, but essentially everywhere in the world,* we might recall that it was on this date in 1936 that a German referendum ratified Deutschland’s armed occupation of the Rhineland earlier that month, in violation of the Treaty of Versailles. 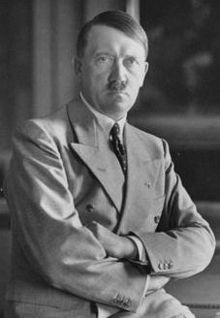 Hitler acted when he did for a variety of reasons, main among them that France, the most directly-affected/threatened other nation, was in internal political and financial disarray, and that Germany was in the midst of an economic crisis of its own, from which the Fuhrer needed a foreign policy distraction… the Chancellor’s timing was good: France’s response was limited to a strongly-worded condemnation, and 99% of the votes cast in the German referendum (44.5 million votes out of 45.5 million registered voters), were in support.